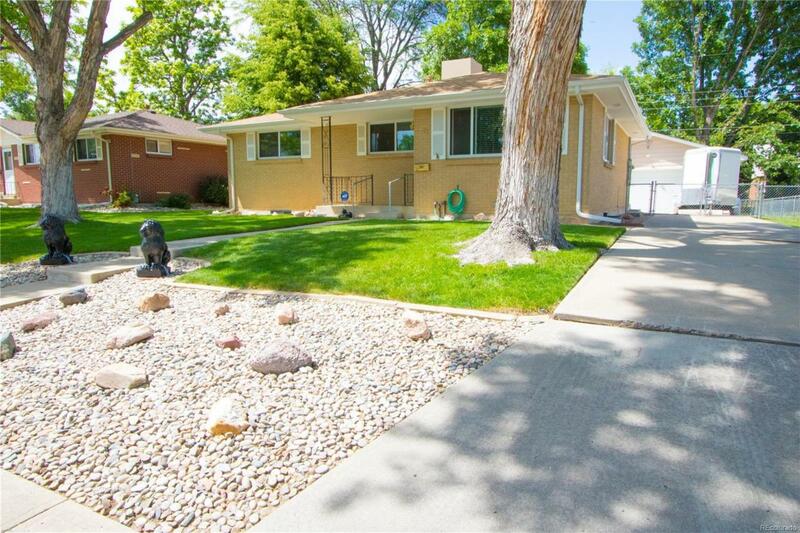 If you've been searching for a spot-less, well maintained home then this is it! Mr. Clean lives here. Home has recently received new paint and new basement carpet. Gleaming hardwood floors throughout main level. 3bed/1bath on main, two additional non-conforming bedrooms in basement, with flex/entertainment space and possible mother-in-law kitchenette or large laundry room. The 2 -car, oversized detached garage is a working man's haven with over-head lighting, 220 power, and lots of closet space for all your tools. Close to schools and Belmar shopping! Seller is providing a home warranty. Offered by Resident Realty Colorado.